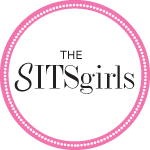 Looking for a way to keep the kiddos entertained while you’re prepping your Thanksgiving meal? How about whipping this up the night before? 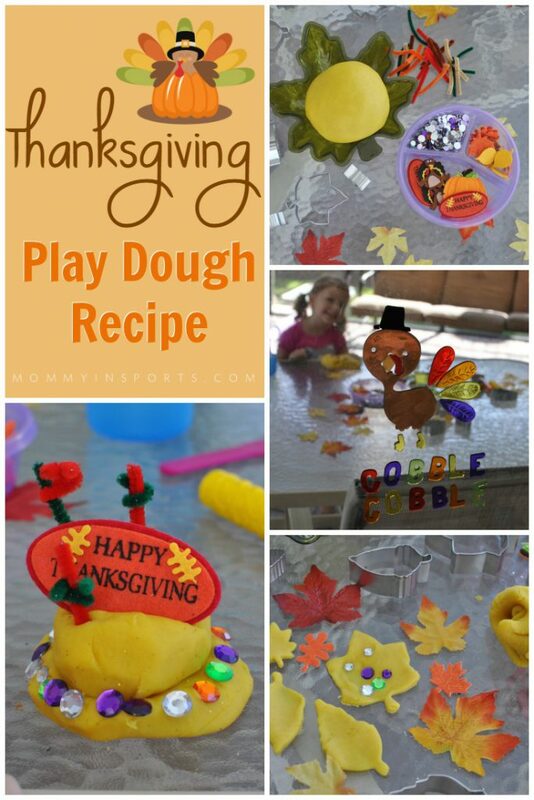 This Thanksgiving Play Dough Recipe is really simple, and something your little ones can help make! We had intended on making brown Thanksgiving Play Dough scented like cinnamon so the girls could make turkeys, but they other plans. Yellow was the color of choice, and banana extract served as our scent. Oh and our littlest just had to add glitter! Once it cooled a bit, we kneaded it and then it was time to set out some fun to create their Thanksgiving masterpieces! 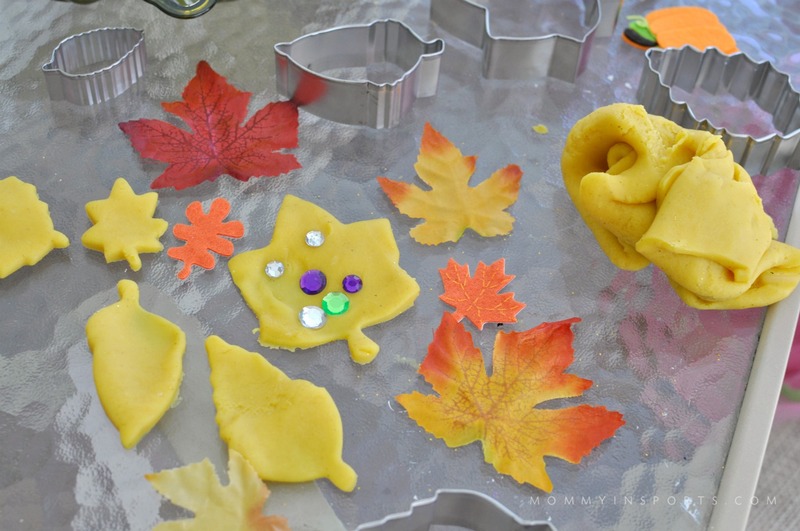 I picked up some fall props at the Dollar Tree: fall leaves, pipe cleaners, rhinestones, plus some fall leaf and turkey stickers from Michael’s, and these fall leaf cookie cutters. With the South Florida heat, I didn’t expect them to play that long on the porch, but they spent about 90 minutes letting their imaginations do the work! 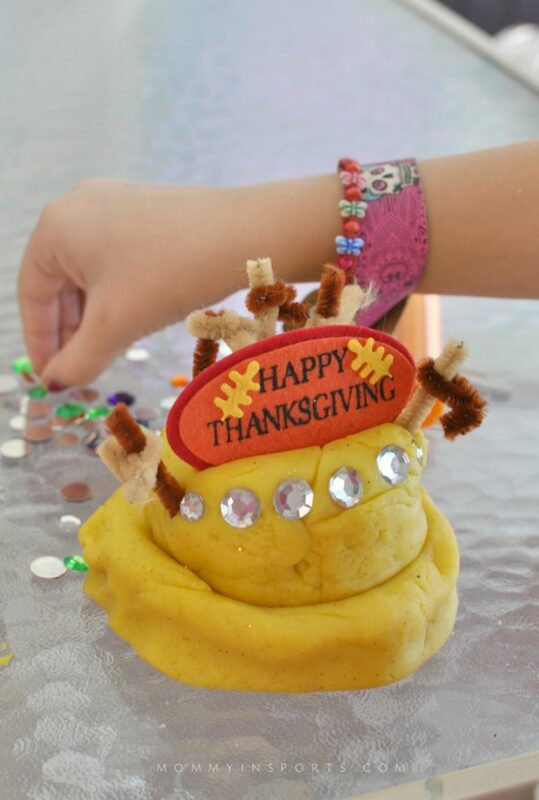 Why not make a banana scented Thanksgiving play dough cake?! Works for me! 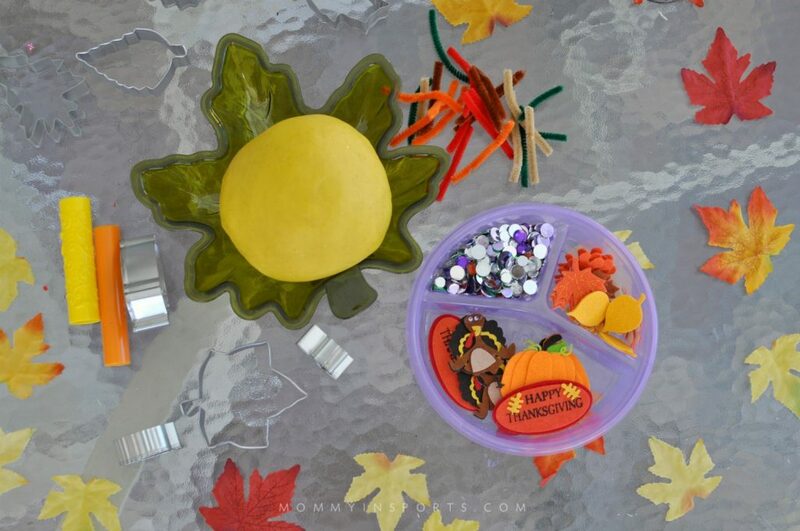 You can get your accessories now and surprise your little ones with this fun activity on Thanksgiving morning! Here’s the super easy recipe – enjoy and happy creating! 1/2 bottle extract of whatever scent you choose: cinnamon, vanilla, pumpkin, banana etc. Mix all the dry ingredients together, and then add wet ingredients. Stir until well blended. 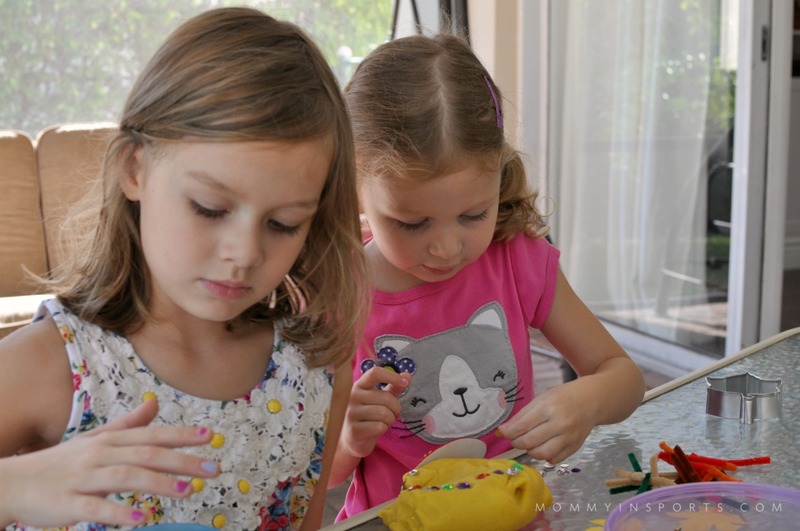 Transfer hot play dough carefully to a floured surface. Knead as the dough cools. When cooled, store in a Ziploc bag or air tight container. 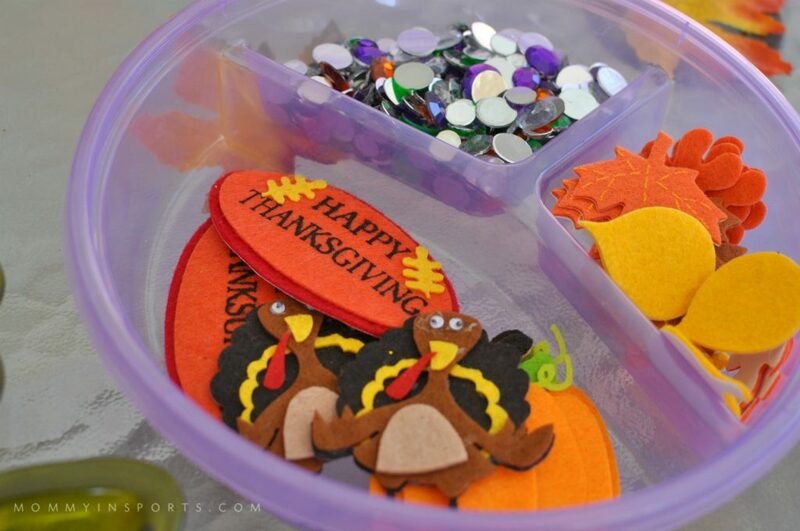 And if you’re looking for more fun Thanksgiving crafts, check out this post or follow my Pinterest board! Follow Mommy in Sports’s board Thanksgiving on Pinterest. You are so good. I’ve never made home-made play dough. Slacker:(. You are awesome! 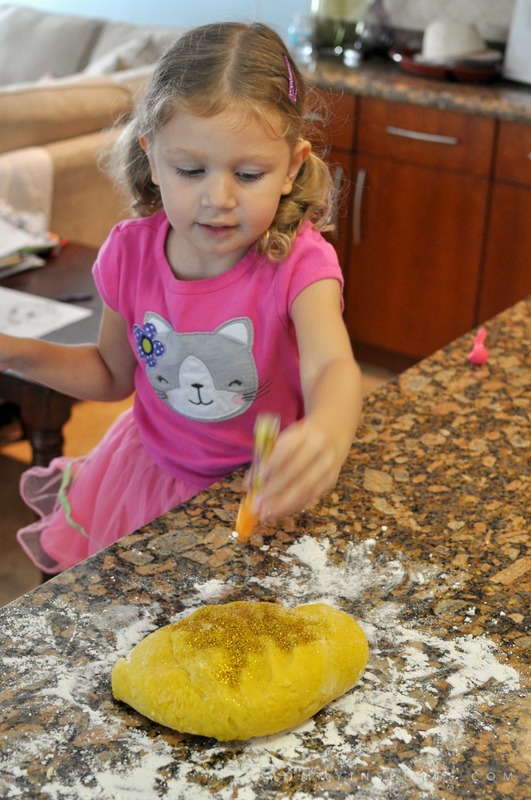 I made peanut butter playdough once and that was only because I knew my kids would eat it, LOL! I never make homemade playdough! This is pretty darn cool! Who doesn’t love palydough?! Plus kids that are not bored on that day, bodes well for everyone. I’m a glitter girl myself! I would love this, and I love the scented ideas. I’d choose cinnamon and pumpkin I think. And maybe.. banana. Yeah. That would be better than random squash smell! Such a fun idea! And I love that you let your kids drive the decisions. Once I’ve got a specific idea in my head, it’s hard to get it out. (would have so freaked out about yellow and banana scented) Both my girls are very into play dough right now, too. 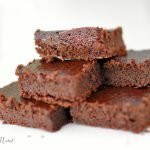 Definitely need to give this recipe a try!